The following update was written and submitted by Ruth Adams, RPCA Board member after she attended Neartown Association meetings this Summer. Thank you for representing our neighborhood at these meetings, Ruth and for updating us! Ruth Adams has attended both of the summer meetings for the Neartown Association. The meetings are held monthly at Cherryhurst Park Community Center. 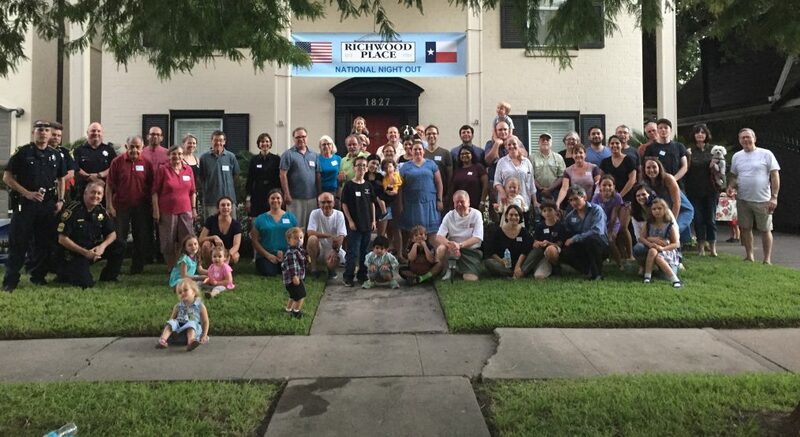 With over 60 civic and neighborhood associations represented, Neartown represents all of us as our “super association” improving the quality of life in Houston’s historic neighborhoods. At the monthly meetings the topics covered are those that are important to our collective safety, economics and advancement. • Introduction to a new Parks Bayou program that is a movement to connecting all 7 bayous, renovation of parks and support of the short-term goal of passing an anticipated $150 million bond initiative in November. Foremost on the agenda has been discussion and finalized support of a resolution that requests METRORail to begin construction on routes that were originally passed with the General Mobility Program. How the monies have been collected and spent has been divided differently between various cities within the county – pushing project details further out in to communities while not following through with decisions made that would improve our Neartown streets and rail preparation. Population density is heavy in our area and cars/people have a huge impact every day. Sue Lovell, past City Councilperson, is leading the charge to use the Rebuild Houston dollars as promised. While this presentation to the Metro Board backs up decisions that have already been made, its primary purpose and support of this resolution gives backbone to requesting the progress that citizens within our area require and have expected. Neartown supports having the Board commit to take necessary action to move forward with projects in our area and not move improvements further outside of our area with our dollar. Please watch for further information on this important November ballot referendum. It will be a good idea to review your voting choices ahead of time as sometimes wording can be difficult to get through. You want to make sure you understand what your “Yes” or “No” vote on this issue really means.